My Pastor went home to glory last week. His homegoing service was today. This has been one of the hardest life experiences I’ve had thus far in my life and it’s so easy to fall into a spiral thinking “there’s so much more darkness ahead as well.” but, I’m going to keep on keeping on. I have to keep reminding myself that the reason all those around me seem to be doing so well with all of this is because they’ve already had to bury fathers, mothers, sisters, brothers, grandparents, children. And, they all got to go through with their Pastor by their side. This is my first time dealing with death so close and I’ve no Pastor to talk me through this. It’s just been so hard. 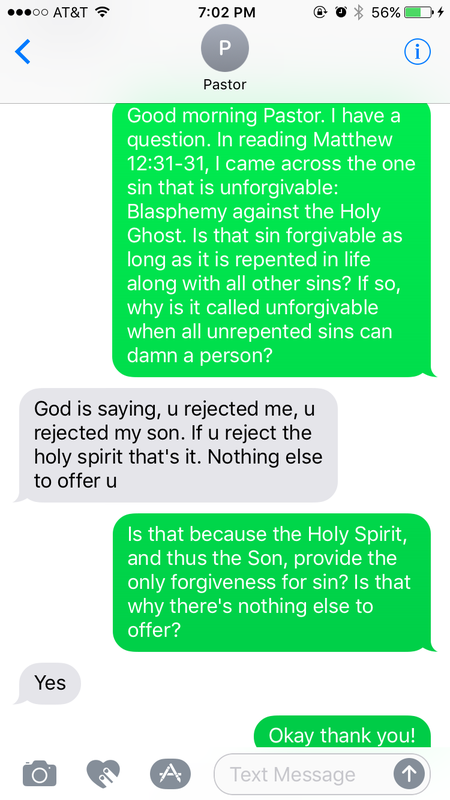 The calls and texts of encouraging someone whose spiritual strength I’d often taken for granted. Overcoming my own anxieties to see him during hospital visits. Literally picking myself off the floor after collapsing at the news that he was being moved to hospice. Visiting him in hospice every day he was there and watching him slowly transition onto glory. Accepting the news that he was gone. I don’t think I’ve ever cried so hard or as much in the entirety of these 33 years I’ve walked this Earth. I’ve got my ramblings to say and these words may not make sense to many others, so perhaps this is just here for me. Years and years ago, I was a very skeptical agnostic. I’d been baptized a Christian as a child, but had never really belonged to a church home and with very sporadic church attendance throughout my teens, very little remained of my Christian experience and understanding. In a lost moment in college, I’d attempted to find a renewed spirit within one of the churches my mother and I had visited some years earlier. I walked into that building a proverbial lost lamb, but I walked out of it no longer a Christian and certain that God, whatever form He took, was not to be found withing Christianity. An extremely difficult period followed afterward, where I’d figuratively wandered lost within the world, but as providence would have it, God brought me to what would become my church home through the teachings of a very great man who would become my Pastor. He often quoted Matthew 6:3: “Seek ye FIRST the kingdom of God, and his righteousness.” and he had this deep, mighty voice that always stressed FIRST; that we were to put God first; that God was not running for any place in our lives but first; that anything that we put before God was idolatry. These teachings allowed Pastor to become the first preacher that I ever really trusted. Above all, I trusted that he would never purposefully tell me something to lead me astray or that would go against God. Pastor focused on bible-based teachings and rarely did all the screaming and shouting “performance” that is so often found within black churches and we used to talk about that a lot. I told him often that I never liked all the “hootin’ and hollerin'” sermons because that was all show and had more to do about uplifting the preacher than the Word. I also told him that it was part of that latent skepticism that I struggled to lose. He agreed that the shouting was often part of the show, but that sometimes that’s what people needed to ignite their spirits. He also reminded that, in reference to my skepticism, that faith and doubt could not occupy the same heart, and I remind myself of this as often as possible as I continue on my journey. We disagreed from time to time. He wanted me to be more involved in church auxillaries and often chastized me for quitting just about everything from the choir, to the usher board, to a helping auxillary, to teaching Sunday school…I’m sure there are many other things I’ve even forgotten that I’ve quit. And, he was very right; I quit a lot of activities, arguably out of fatigue. Every once in a while, I had something to throw back at him, though. Once, he demanded that all his lady ushers had to wear skirts when they served, so I sat down and quit. Eventually, it got back to him that the reason I’d quit ushering was because the Word said that men and women were to be dressed differently to be readily identifiable as such, not that men wore pants and ladies were skirts. If I’d been trying to usher in a men’s suit, then by all means call out that behaviour, but if I wanted to serve wearing a finely cut women’s pants suit, where was the harm? Later, he agreed with me and removed this rule, but this was the type of man he was. He acknowledged if he was wrong and moved forward. One of the things I cherish most, however, was that Pastor never hesitated to teach God’s Word. When I was teaching Sunday School, he gave me (what I later learned was a very expensive) Matthew Henry Commentary Study Bible with my name engraved on it. He’d given one to my mother as well. I think I’ve learned more about scripture and also myself from reading this commentary than anything else in life. I remember asking him how much the commentary cost because my church is sometimes just barely able to keep the lights on, but he refused to say, and refused to accept any payment. I’ve several other spiritual books Pastor has given to me in this same manner and I’ll treasure all of them always.